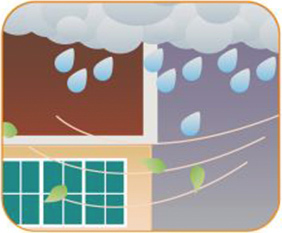 Stay indoors where you are protected from the typhoon. 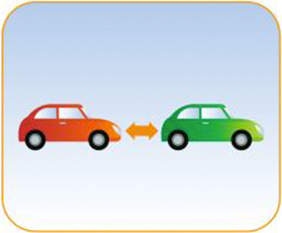 Keep a safe following distance between you and the vehicle in front of you. The distance between you and the vehicle will give you enough time to react and stop when necessary if the car in front of you suddenly stops. 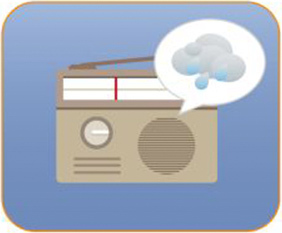 Monitor the storm's progress by listening in the news advisories and storm warnings. 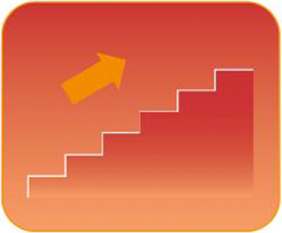 Move immediately to higher ground. 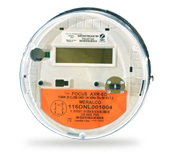 Water levels can rise where flash floods can occur. Stay away from coastal areas. 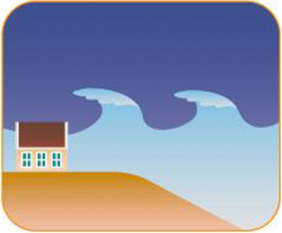 Strong winds and currents can cause sea levels to rise quickly and result in storm surges. 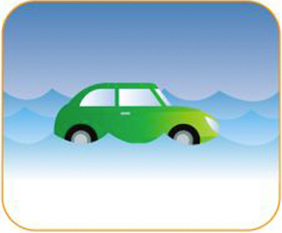 Do not drive a light vehicle through flood streets, you can either lose control or risk stalling. Stay clear from glass windows as they may shatter. 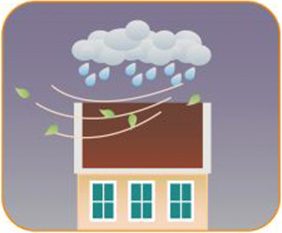 Strong winds can carry various debris that may hit your windows. Broken glass can cause severe injury. Turn on your headlights and drive slower in the rain. 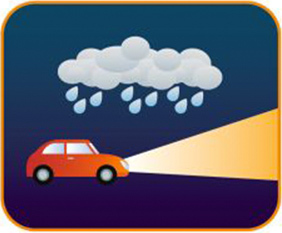 Turning on your headlights alerts other drivers and also helps with your visibility.